Influencers come in all shapes and sizes. 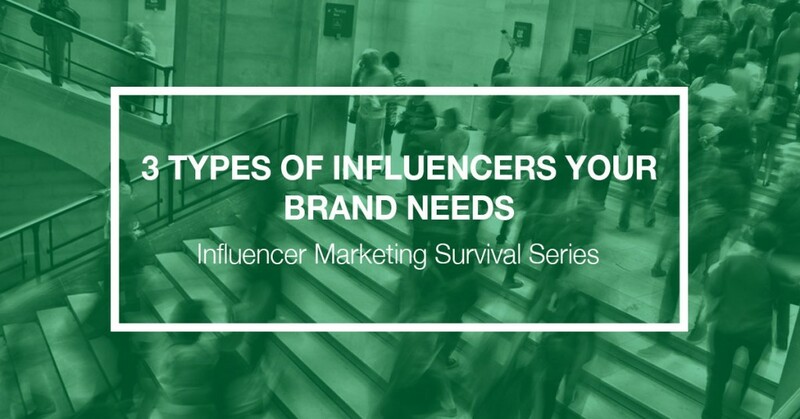 It’s important to think about each of these types both to ensure you are using all of your available influencer channels and so you are working with them in the most effective way. You will have different relationships with each type of influencer. The way you engage, motivate, and activate them will vary as well. Anyone that has experience with your products and brand can be an influencer. This includes fans/followers, people that engage with your brand on social media, and those that receive your email blasts. They’re an important part of your marketing mix – your owned and earned audience. The key is to identify who has the most influence from those that already have a relationship with you. Would any be a good brand ambassador? Are there individuals and groups you should spend more time building a relationship with to maximize their promotion of your brand? Most marketers are familiar with the long-tail of search engine marketing (SEO). Brands used to focus their keyword marketing on just 5 to 10 top keywords. Eventually, they realized that a ton of value is contained in not just those top keywords, but the thousands of other “long-tail” keywords. The same concept holds true in Influencer Marketing. Many brands today are focusing on their top 5 to 10 influencers. However, the true power of influencer marketing lies in the thousands of everyday influencers. They are your most loyal customers and raving fans. They’re motivated by passion and interest in your products. Of the three types of influencers you should cultivate into your strategy, they are the most accessible. This is also the reason we started Sideqik. We wanted to provide the tools and automation that allows businesses to build relationships with their long-tail influencers and activate them into consumer campaigns. While these influencers may have fewer connections, their collective reach adds up to massive numbers. The typical ambassador has 500+ connections on social media. With the right strategy and program in place, you can build relationships with them and authentically reach at scale. This group includes people that are known for their personal brand and includes bloggers, Youtube and Twitch streamers, executives, pro-staff, sportsmen, and guides, etc. Seth Godin talks about people and brands that have loyal “tribes”- a group of people that follow and listen to them. An important aspect of working with this type of influencer is to ensure that their motivations and incentives are aligned with yours, while also maintaining authenticity. The best campaigns to launch with these influencers are based on real relationships with brands and recommendations that are authentic. How many marketers have heard their boss say “If only we had ______ talking about us”? Fill in any celebrity name, whether a Hollywood star or a top name in your industry. These influencers have massive reach and many companies begin working with celebrities in their industry by phase two of their Influencer Marketing rollout. It’s serendipitous when a celebrity is actually a fan of your company and you have a relationship with them. But most brands don’t start with these relationships in place. The problem with recruiting celebrities is that marketers often waste valuable time and resources with nothing to show for their efforts. The most successful brands have marketers that see the value in reaching not just the A-list names, but also the next tier in their industry, in addition to their Long-Tail influencers. Who are the athletes, players, authors, musicians, and actors that your potential customers pay attention to? Who can you build authentic and mutually beneficial relationships with? Many agencies and tools will tell you that it’s the quality, not quantity, that matter for the success of your influencer marketing. While quality is always important, businesses see a massive increase in the value of their influencer marketing when they can scale their programs. After having worked with hundreds of brands, I can confidently tell you that successful brands have found that marketing automation combined with a great influencer marketing strategy lets your brand tap into the best of both quantity and quality. 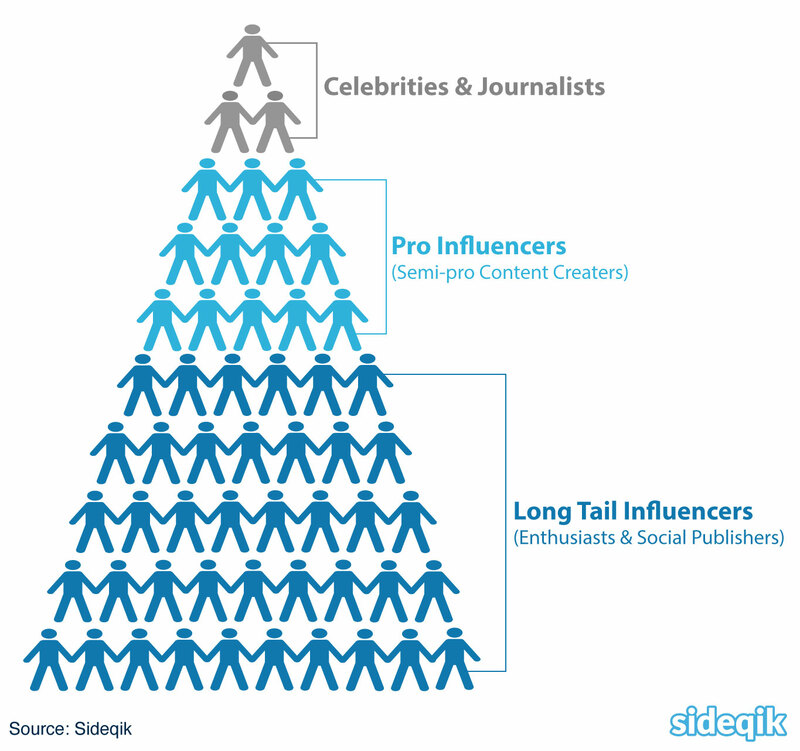 See our influencer marketing resources to learn more about building your strategy or talk to someone on our team to see if Sideqik can help kickstart your influencer marketing program.